The shift from summer to autumn brings many new changes for families in Bloomington, Minnesota and other Minneapolis/St. Paul southern suburbs. Many of these are exciting, such as new school routines, participating in fall sports, and enjoying the beauty of the changing leaves. Autumn also brings certain chores for area homeowners as they must prepare for the eventual change to winter. Mulch all plants and trees in your yard to prevent frost heaving. This also protects the roots throughout the cold season. It's important to clean any debris from the borders and beds before you start mulching. Clean your lawn and gardening tools and store them in a dry place over the winter. Neatly coil your hose and wipe off all remaining water droplets before placing it in storage. Put your sprinkler next to it so you can easily locate both come spring. Remove and store stakes and trellises. If you have lawn or garden ornaments, be sure to clean and dry them before putting them into storage. Leaving them out all winter is likely to cause permanent damage due to the moisture and extreme temperatures. 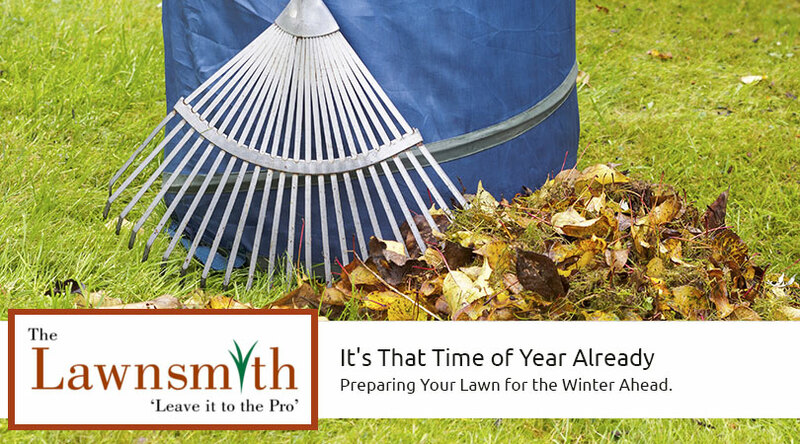 When you lack the time or physical ability to prepare your lawn for winter, The Lawnsmith is here to help. We offer a two-visit professional fall clean-up services that includes mowing the grass and removing all leaves from your lawn, window wells, and any landscaped areas. Many homeowners tend to miss these spots. Additionally, we can remove twigs and pine needles as well as assist with any fall planting that you would like to do. While you may not enjoy everything about winter in Minnesota, with help from The Lawnsmith you can at least be ready for it.